This 3-month-old Chow Chow will steal your heart. 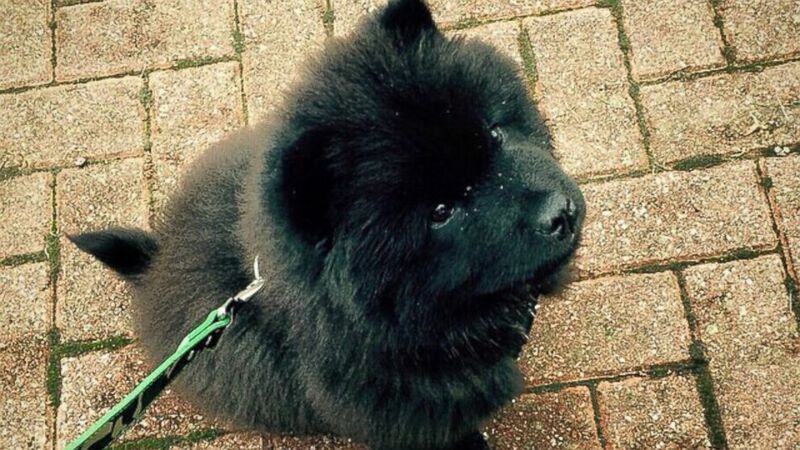 Police who responded to reports of a house burglary in North London this week discovered an uncommon piece of missing property: a 3-month-old Chow Chow puppy. The $3,000 dog was already a social media star before the break-in, with photos of him reaching 2 million views on Imgur, an online image-hosting service, and thousands of likes and comments on Facebook and Instagram. “Misiu, which means little bear in Polish, is ‘the happiest dog in the world,’” said owner Jamie Green, 29, who was devastated when he found out the puppy had gone missing Wednesday. Green bought the puppy five weeks ago as a surprise for his girlfriend, Joanna Gluminska, 21, he told ABC News. (Misui Green/Instagram) Misiu Green, 3-month-old Chow Chow puppy, is seen in this photo posted to Instagram on Oct. 20, 2014 with the caption, "What time is it..."
The owner said he doesn’t regret raising his dog to stardom and never thought someone would break into his house to apparently steal him. “I came back from work around 6:00 p.m. There was no barking or scratching sound, and I thought, maybe he’s in the kitchen,” he said. “When I walked into the kitchen, I saw the window crashed and the door open. I thought, maybe he’s in the garden, but he wasn’t. I ran upstairs to my mom’s room and saw everything turned up-side-down. That’s when I knew there had been a burglary,” Green said, adding that he believes one of Misiu’s fan broke in to steal him. “Usually, we can support each other when something bad happens in the other’s life, but this time it affects us both,” Green said. “Neither of us have gone in the kitchen since it happened. Misiu’s stardom all started when a DJ friend of his with a lot of followers recently posted a photo of him with Misiu on Instagram. “A friend of his then posted it on Imgur and when he woke up the next day he had two million views,” Green said.